So this Monday I celebrated Halloween with a friend. We had too much candy and went trick or treating even though few people in Belgium actually do it and almost nobody had candy so we went back home and had our own candy. 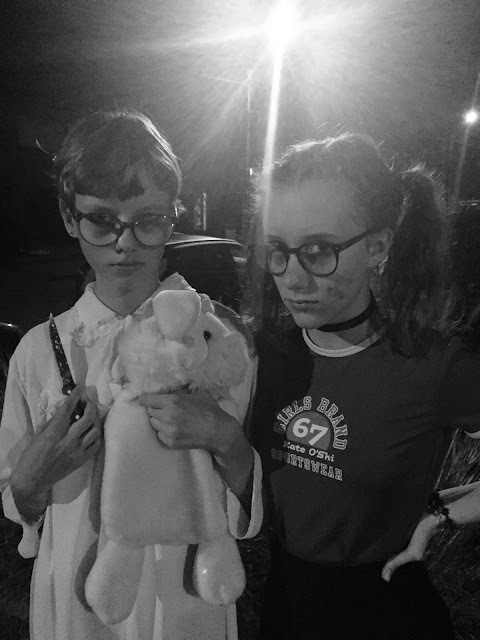 On the left, me as Mia Farrow in Rosemary's baby (I added the bunny so it would be creepier when we went trick or treating because not everyone knows the movie, and creepy sleepy girl is a Halloween classic. So I couldn't go wrong there.) Nena on the left dressed like a creepy cheerleader girl. 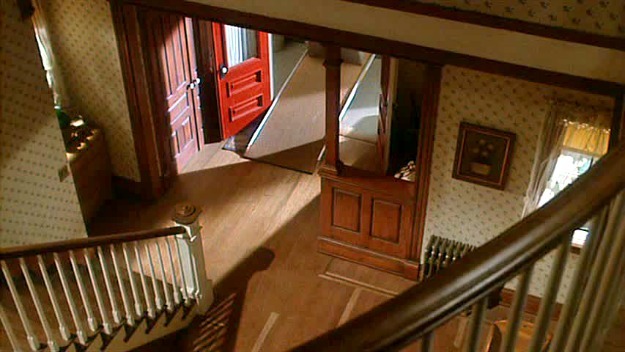 The next day I watched Beetlejuice (still in the Halloween mood) and I just forgot how awesome 80's Tim Burton vibes are. And although I love Tim Burton's movies a lot, it needs to be said the number of non-white people is very little. Samuel L Jackson is the first black person to play a lead role in one of Burton's movies (and the fact that he's 'the bad guy' in the movie adds to the entire thing). Of course awesome internet people notice these things and put articles online so I can educate myself about this stuff. Tim Burton got quite a lot of comments on it and his response was vague and (excuse me) lousy. If you say 'Tim Burton' three times, a goth white dude appears and mansplains to you how casting only white people isn't racist. "Tim Burton thinks weird only comes in white people". "Are we seriously discussing diversity with someone who casts the same two people every single time?" 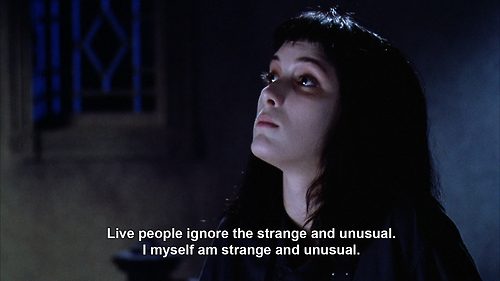 I still love the entire vibe of this movie, and I think Winona is just perfect. An awesome heroine, if you ask me. "I usually prefer girl heroines" (I made a reference did you guys get it did you get it?) 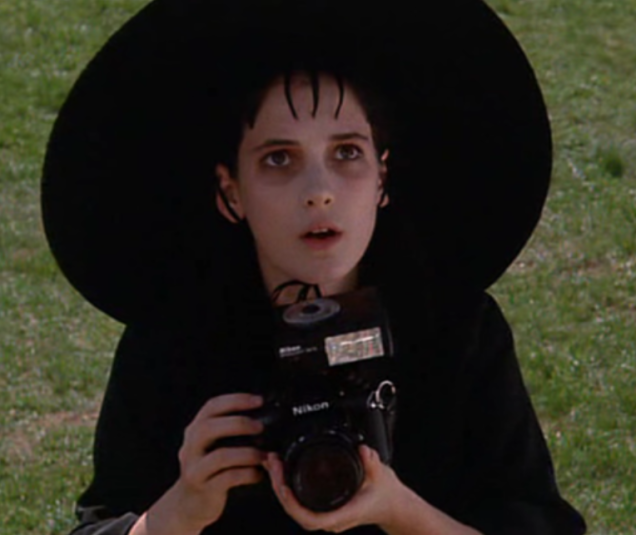 People on instagram are doing this 'describe yourself in 3 fictional characters thing and I think I'd be Lydia Deetz, Lisa Simpson (I'm a huge know it all) and Batty Penderwick. Oh how I flatter myself. 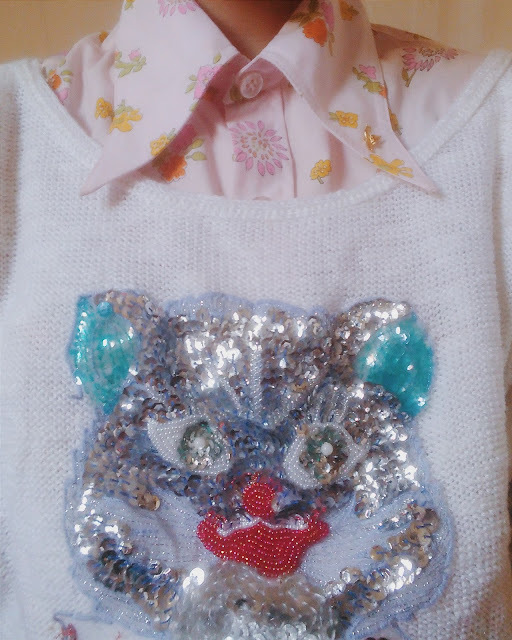 And I got this secondhand sweater! I bought it from my friend's sister and it's really cool. It gives me so much Gucci vibes and I'm really excited to try out some outfits with it!